With their natural tuxedos and adorable look, penguins are heart-breakers. Elegant and clumsy at the same time, those animals are a favorite species for many people across the world. They’re also hard to reach, which makes them even more intriguing. 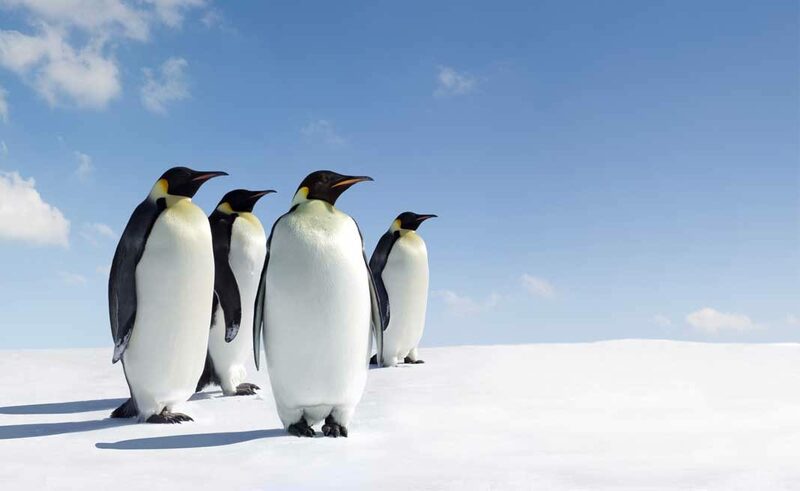 While people tend to associate them with Antarctica, they live in other places as well. Trips to Antarctica are discouraged by ecologists, because of the high risk of disturbing its unique ecosystem. That’s why here’s a list of 7 places where you can see penguins without negatively affecting the nature. Since all of them are fragile, the best way to explore them is by taking guided, controlled tours. Even though it might sound slightly annoying for adventurous globetrotters, in this case, it’s worth considering. Tierra del Fuego is an archipelago situated off the South American mainland. One part of it belongs to Chile and the other one to Argentina. Across the region, there are colonies of penguins, mainly King and Magellanic. To see them, you can take a tour from Ushuaia, the world’s southernmost city. Several tour operators offer such a possibility, one of them is Piratour. A significant advantage of Piratour’s offer is the opportunity to do not only view the penguins, but also walk among them. First, you depart from Ushuaia by a minibus and then take a boat to the Martillo Island where the colony lives. You’ve got one hour to waddle with penguins, always through authorized trails, accompanied by a guide. A majority of penguins belongs to the Magellanic, but there’s also a tiny colony of Gentoo, the only one in South America. If you prefer to depart from Chile, you can take a tour from Punta Arenas to Isla Magdalena and Isla Marta. The islands form the Penguins Natural Monument (Natural Monument Los Pinguinos), the largest colony in southern Chile consisting of 60,000 breeding pairs of the Magellanic penguin. Marta Island, due to high restrictions, can only be circumnavigated and seen from a distance, but it’s still a pleasant experience. It’s allowed to stop on the Island Magdalena and walk around for an hour. One of the companies offering such tours is SoloExpeditions. Both in Argentina and Chile seeing penguins is possible all year long, but the best period is summer, from October until April. Little penguin, also known as a fairy penguin (the sweetest name ever), can be found on the Philip Island in Australia. It’s the smallest species of penguins, and it lives in Australia and New Zealand. The colony on the Philip Island has over 4,000 penguins. Their daily walk to the Summerland Beach is known as a “penguin parade.” You can observe this fascinating phenomenon from viewing platforms, but a small number of visitors is also allowed to walk among the birds. To find out more, visit the website of Philip Island Nature Park: https://www.penguins.org.au/ You can either buy tickets directly from the Park or book a guided tour, for example, one of those organized by Penguin Island Tours. In addition to viewing the penguin parade, during the trip you can also meet kangaroos in the Moonlit Sanctuary Wildlife Conservation Park, have lunch there, then head to the Churchill Island, Koala Conservation Centre and a few other places. Penguins live in several areas across New Zealand, including Bounty Island, Antipodes Islands, Stewart islands and the coast of South Island. Six different species have their colonies in New Zealand: Blue, Erect-crested, Fiordland, Rockhopper, Snares, and Yellow-Eyed. The last one, the Yellow-Eyed Penguin, is endangered and can be found only in New Zealand. That’s why this destination is one of the best places where you can see penguins. To see it, you should go to the Otago Peninsula. That’s also where you can see the Blue Penguin. It’s a stunning place, worth-visiting for more than one reason. As usual, there are many companies offering penguin tours. It’s quite a luxurious journey during which you’ll also have a chance to encounter sea lions and albatross. Nature Guides Otago has a good offer as well. They organize eco-tours with accommodation in gorgeous boutique hotels. Even though the Falkland Islands are in the middle of nowhere, for individuals obsessed with penguins nothing is too far. Five species are breeding on the islands: Gentoo, Macaroni, King, Rockhopper, and Magellanic. Five more were seen there, but don’t have established colonies. Moreover, the islands have a fascinating wildlife in general. There’s a large population of black-browed albatross and lots of other unique species. The Bluff Cove Lagoon is one of the companies operating on the islands, and it has received excellent reviews and awards. Their tours include a visit to the Bluff Cove Museum, a home-made dinner with traditional music in the background, the company of knowledgeable rangers and, of course, viewing penguins. A trip to Galapagos island, Ecuador is costly but unforgettable. The island’s wildlife is so diverse it’s impossible to compare it with anything else in the world. It’s also the only place that shelters the tropical species of penguin, the endemic Galapagos Penguin. It’s possible to see it in different areas across the island. The viewing usually takes place from a boat, but you can also snorkel in the penguins’ favorite spots (for instance around Sombrero Chino Island) and see them underwater. Nearly all the tours to Galapagos Island include viewing penguins, but to make sure, you should discuss the subject with your operator. One of the best options is offered by the Southern Explorations. They organize a variety of cruises to Galapagos. Are you also a penguin fan? Share this article with all your friends who might be interested in encountering this incredible species! This is too awesome, I love penguins.